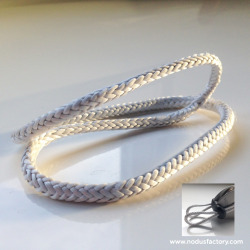 The High Load sheathed Dyneema® loop is a soft loop for heavy loads, ideal as a soft attachment. 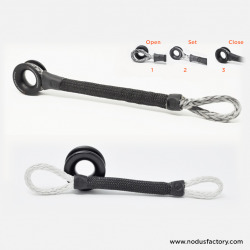 It can be used to connect blocks on the traveler, rub rail, boom and spars (spinnaker pole, bowsprit, etc. ), connecting backstays and runners to tackle. 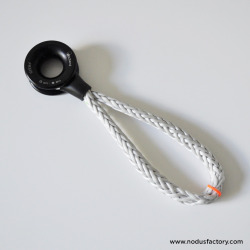 Loop® in Dyneema® with low-friction ring, can easily be used to replace any type of block. The low-friction aluminum rings are efficient, lightweight and reliable and can be used for heavy loads. 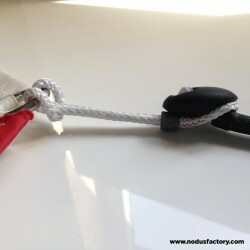 The Lock® is a Dyneema® soft shackle with a multi-purpose lockable eye, ideal for attaching low-friction rings and shackles, T-sail and T-bône but also ideal for reefing the mainsail.